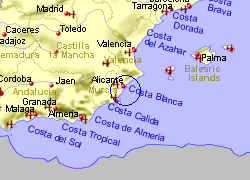 The small village of Benijofar, which has seen a fair amount of modern development, lies 8Km inland from the southern Costa Blanca coastline, on the southern side of the River Segura, and near to the AP-7 motorway. 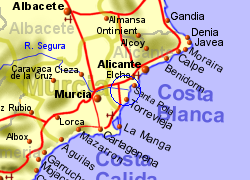 There are a small selection of shops and tapas bars/restuarants, with further facilities available at the nearby Benimar development and the larger town of Rojales. 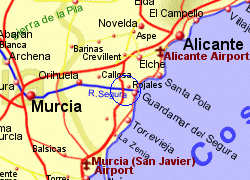 Map of the Benijofar area.